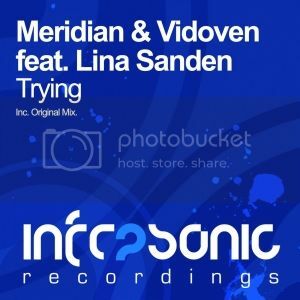 Meridian returns to Infrasonic, this time teaming up with Vidoven and employing the lush vocal tones of Lina Sanden to deliver the epic ‘Trying’. 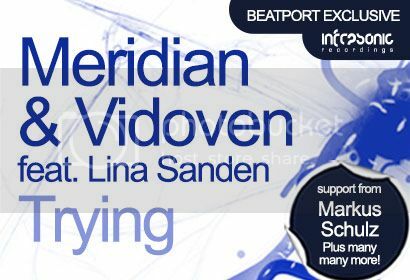 An electronic delight, this trio of talented musicians serve up this delightful number with its uplifting vibe and classic hook, coupled with an infectious groove that will guarantee your discerning crowd won’t be stood still. The break is truly inspirational, with its huge hands in the air moments and euphoric rush ready for the club destroying drop. Huge! Watch out for this one over the coming months as it will be sending shockwaves around the globe.